How can we understand the attention focused on the nation of Israel? As the free world struggles with the dilemma of how to combat ISIS and other manifestations of Islamic fundamentalism, Israel appears on the front lines and in the news like no other nation. Viciously attacked by its many enemies and passionately admired by its friends around the world, all eyes are on the tiny Jewish nation, leaving little room for apathy, disregard, or disinterest. 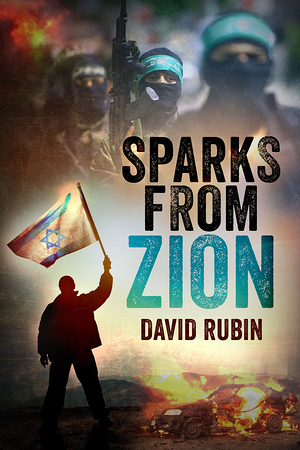 In Sparks From Zion, David Rubin takes us on an eye-opening one-year journey through the news and the unique challenges in Israel, a virtual island of political and individual freedom, surrounded by war and Islamic terrorism. Come join the people of Israel on that journey!